Caricom and Mexico have maintained their non-interventionist and non-interference stance, even as an International Contact Group on Venezuela, backed by the European Union, has called for dialogue and fresh elections in the country as the only way to settle the increasing political stability in the South American country. Uruguay, which had convened a meeting in its capital, Montevideo, on February 7, to discuss ways to mitigate tensions, has endorsed the ICG’s stance that the best way forward for Venezuela is fresh elections. Mexico and Caricom, meanwhile, are sticking to dialogue as their preferred solution. Prime Minister Dr Keith Rowley was part of the Caricom delegation and returned home on Friday night, however, there have been no official statements from the Office of the Prime Minister. 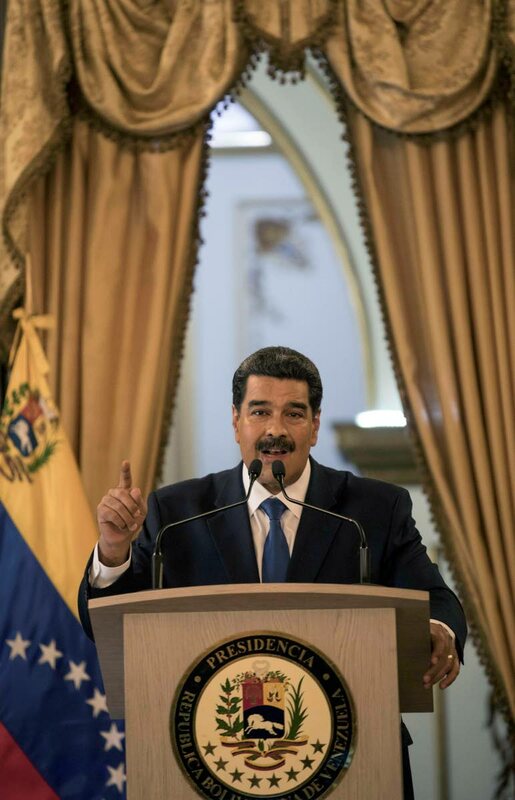 Nicolas Maduro, the embattled incumbent President of Venezuela, has said he’s open to dialogue, even suggesting two weeks ago that he would consider TT as one of the neutral locations to have talks. His challenger, Juan Guaido, president of Venezuela’s National Assembly, and self-declared interim president, has rejected any attempt at dialogue, demanding instead fresh, free and fair elections in the country. Venezuela's self-proclaimed president Juan Guaido speaks during a meeting with university students at the Central University of Venezuela, in Caracas, Venezuela on Friday. Since his declaration, Guaido has quickly gained international support as the recognised leader of Venezuela, most notably from the US, who have started conducting diplomatic affairs through him, as well as several other Western nations, including the EU, the UK, Canada and Australia. Maduro, however, has had support from China, Russia and Turkey. In the Americas, Cuba, Nicaragua, Bolivia and El Salvador stand with Maduro, while Caricom (with the exception of the Bahamas), Mexico and Uruguay remain neutral. Everyone else has recognized Guaido as Venezuela’s interim president. 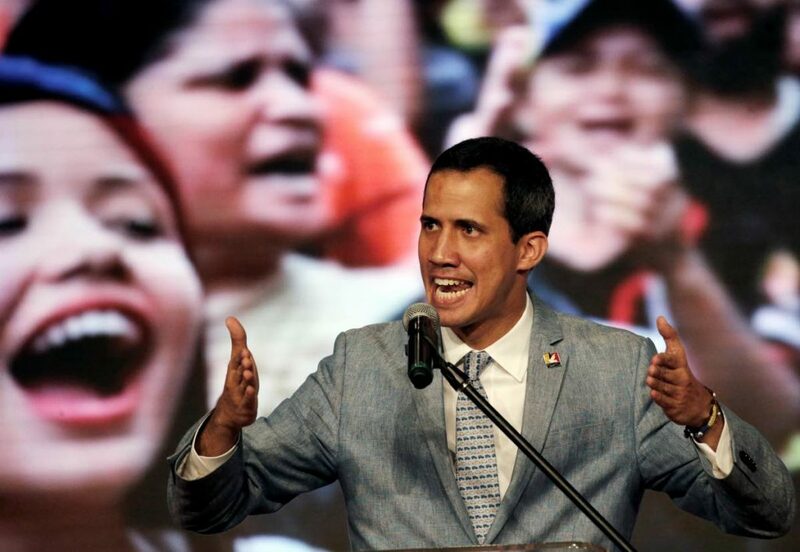 Guaido has claimed legitimacy according to the Venezuelan Constitution, on the grounds that Maduro’s election last year was unconstitutional and therefore illegitimate, as well as fraudulent. In that case, he, as the leader of the National Assembly, is mandated to be interim president until new elections are called. He has garnered massive support from a public reeling from hyperinflation, food and medicine shortages, hunger and unemployment. And two weeks ago, the US, which imported significant amounts of Venezuelan oil, recently announced economic sanctions on the Maduro government, cutting off access from up to US$18 billion in US bank accounts related to state oil company PDVSA. It has also frozen all accounts from PDVSA retail arm, Citgo. Last week, US attempts to send humanitarian aid failed when the Venezuelan military, still controlled by Maduro, blocked access into the country. The Montevideo Mechanism, a policy that was agreed to at the February 7 meeting, outlines four main points on a peaceful solution to Venezuela. 3. Commitments Phase: Construction and subscription of agreements based on the results of the negotiation phase, with the characteristics and time frame, previously agreed upon. “This Mechanism, evidence of an active, proactive and conciliatory diplomacy to bring the disputing parties closer together, avoid conflict and violence, is guided by the principles of Non-Intervention, legal equality of the States, peaceful solution of the controversies, respect for human rights and self-determination,” the Office of the Prime Minister (TT) said on Thursday. Enable the urgent delivery of assistance in accordance with international humanitarian principles. “The ICG stresses that the fundamental freedoms and human rights of all Venezuelans must be respected. It deplored the death and injuries caused by excessive use of force and underlines that violence is never a solution,” the group said. Reply to "Caricom stands ground on Venezuela"